September is here and with it comes a new month, a new season and a new school year! Before your mind wanders to your impending to-do list and you suddenly find yourself flooded with the routine stress that comes with this time of year, let’s take a step back and focus on a little you time. Because fall can be a particularly stressful time, we like to dedicate September to talking about how Massage Therapy can help with stress reduction! It’s important to remember that each of us can either allow stress to negatively impact our health or we can focus on ways to successfully cope with the inevitable stressors in our lives. Some common complaints our RMTs address are stiffness and soreness in the upper back and neck, along with tension headaches. These symptoms are usually connected, and highlight a typical response to stress taken on by the body. 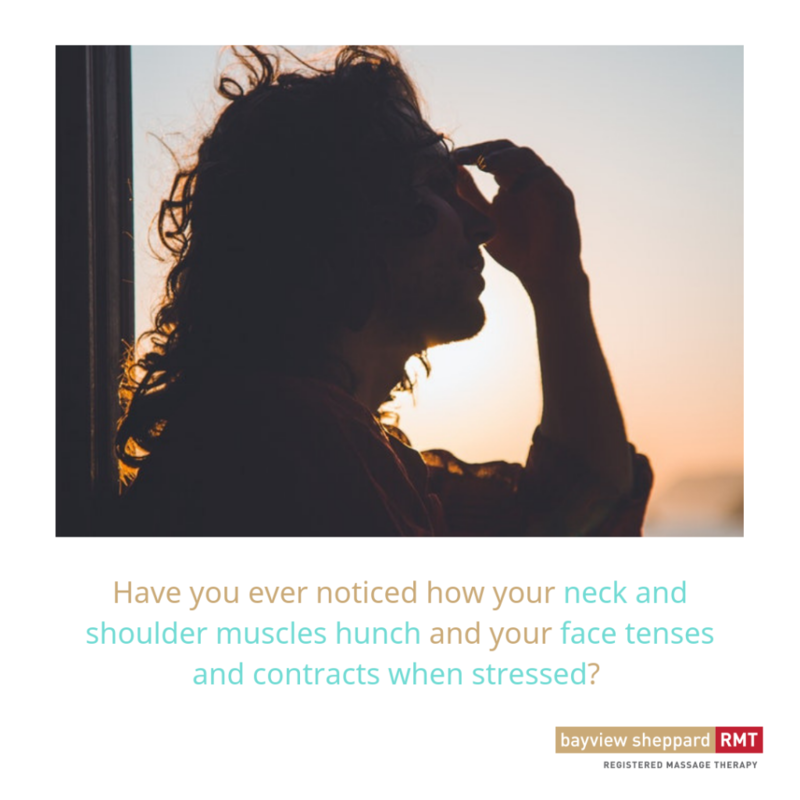 Have you ever noticed how your neck and shoulder muscles hunch and your face tenses and contracts when stressed? These muscle strains in our upper bodies often lead to the physical symptoms associated with stress. Massage Therapy can be beneficial for managing stress because it helps to relieve tight muscles that cause discomfort and promotes overall relaxation. 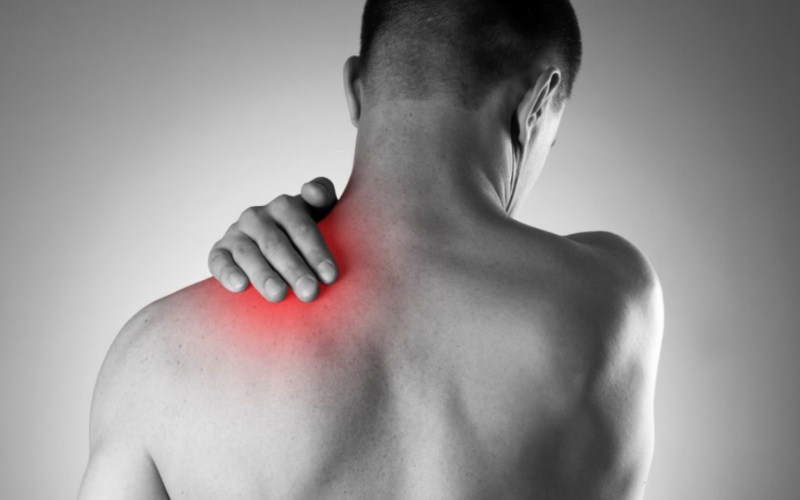 Trigger points that send referral pain to another area of the body can occur within any muscle due to tension and stress. For example, trigger points under the back of your skull and around your jawline can sometimes cause referral headaches. Feel for yourself – place gentle pressure on your cheekbones, just under your temples, while moving in a circular motion up to your forehead and scalp. You can likely feel some relief already! While stress can negatively impact our bodies, this can be mitigated by stimulating the body’s relaxation response through Massage. After our RMTs have released the tension in your shoulders, neck, face, and scalp, our goal is to temper the return of further stress. Massage Therapy calms the mind, releases endorphins, and can even improve your mood. Our clients tell us that they leave their treatments at Bayview Sheppard RMT much more relaxed than when they arrived. Stress be gone! We cover a wide range of needs here at Bayview RMT – we are here to help you ease into the new season in a much more relaxed fashion. Hello pumpkin spice lattes, goodbye stress. Bayview Sheppard RMT is a full-service clinic, open 7 days a week, located in North York, Toronto. We offer treatments specifically based around relaxing and stress relief, pregnancy and prenatal massage, sports massage, deep tissue massage, Thai massage, couples massage, and much more. Email or call us today to book.